Lisa Pasbjerg is founder and principal of Focused Coaching, LLC based in Ann Arbor, Michigan. Her own professional experience spans over 20 years and includes leadership roles in both the for-profit and the not-for-profit sectors, including those both domestic and international in scope. An accomplished and credentialed coach, she and her associates provide senior leaders, managers and “high potentials” with the executive coaching and leadership development services they need, as individuals and as organizations, to develop extraordinary performance through positive and powerful change. A Certified Mentor Coach, Lisa did her graduate work at the University of Michigan and her coaching training through Mentor Coach, in Bethesda, Maryland. She holds the DCSW, the highest national credential in her field. A Professionally Certified Coach (PCC) through the International Coach Federation(ICF), and member of ICF-Michigan, Lisa is also an active member of the American Association of Physician Leadership (formerly ACPE), and the American College of Healthcare Leaders (ACHE). In addition, she is a current Advisory Board Member for the regional chapter of the American Red Cross. In May 2013, Focused Coaching, LLC was awarded the highly sought after federal certification as a WBE through the Women’s Business Enterprise Council, and Lisa herself was recently nominated for WBE Role Model/Mentor of the Year for her exceptional enouragement, support and leadership with other women leaders. Lisa has served as adjunct faculty at many colleges and universities including both the University of Michigan and Michigan State and she has been a frequent speaker and presenter throughout her career, both in-person and on radio and T.V. She has provided services to physicians, healthcare administrators and developing leaders at numerous healthcare systems and hospitals, including, among many, the University of Michigan Health System, Cleveland Clinic , Saint Joseph Mercy/Ann Arbor and Livingston, Chelsea Community Hospital, and Henry Ford. In her spare time she hosts “The Leadership Focus”, a radio show geared to providing new ideas, interesting guests and actionable strategies for current and emerging leaders. 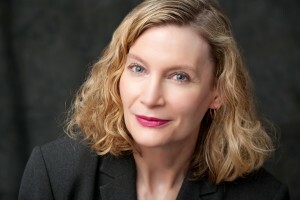 Lisa Pasbjerg is a first-rated Ann Arbor executive coach on CoachLocated.com!